How can you make your life easier and be trendy? Automate your home with just a few affordable items and no tools! Home automation is popular, simple, and surprisingly easy to afford. Amazon's Echo Dot, which uses Alexa voice commands to control a wide variety of devices, is priced under $40. Regular sales, especially during the holiday season, have even dropped the price of an Echo Dot below $30 - a bargain for such a compact gadget that can play music, read the news, place calls with family and friends - and help you automate your home just by speaking! Once you have an Echo Dot, or one of Amazon's many other feature-packed Echo devices, you'll need something to control. Belkin makes it easy with Mini Smart Plugs. Just plug the Mini Smart Plug into a wall outlet, then plug in things like lamps or coffee makers. Use your voice, the Echo Dot and the Mini Smart Plug to save time and effort. Imagine walking into your home at night and being able to say, "Alexa, turn on the lamp," and the room is instantly filled with light. No more fumbling for a light switch when your hands are full! Buy a 3-pack of Mini Smart Plugs to save event more on your home automation project. Another easy way to control lights in your home is as simple as changing the light bulb! The Phillips Hue White starter kit has two smart energy-saving bulbs and a hub - and they work with your Echo Dot! Add up to 50 Phillips Hue White bulbs throughout your home for total control in every room. No tools or special wiring needed! 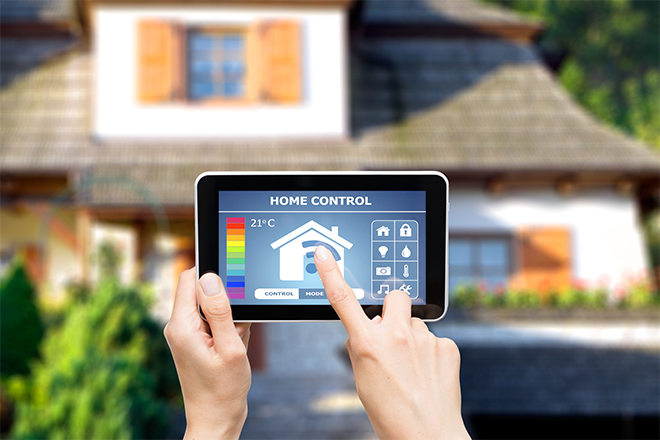 When you feel more adventurous with your new home automation set up, there are many more options to explore, including door locks, ceiling fans, cameras, thermostats and more! With so many affordable options, why not surprise your family with fun, easy home automation this holiday season?